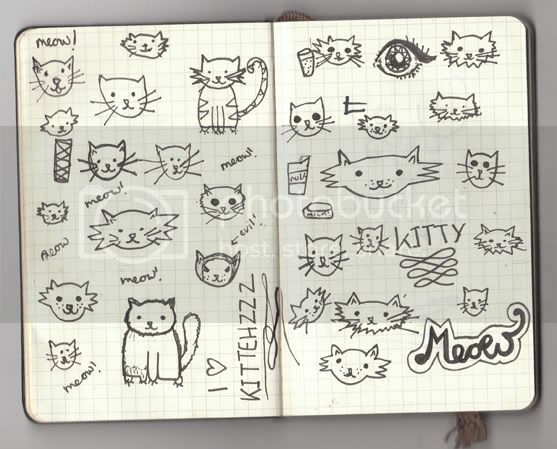 Today I drew some kittys during a lecture of DDS, which was intresting i was just pre-occupied with the idea of kittys! Im no Gemma Correll when it comes to cats but i think the majority of them came out nicely! Im obsessed with the idea of getting one. I really want a lovely cute grey one with big blue eyes or a fluffy ginger one. Pursuading my mummy to let me have one is killing me right now. Theres only so many cat references I can post on her facebook wall! The other day i was going to go to the cat shelter and rescue one and then bring it back and say I found it all alone on the side of the street. Does anyone wanna donate a kitten to me? THANKZZZ. I like kittens very much. I have 2 kittens. Bitty and kitty.But i am not ready to donate it. they are everthing to me. I have shared my loving experience with them in case study report writing service.